Flourish is an online tool that aims to make advanced data visualization and interactive storytelling available to everyone. Based in London, this project was started in 2016, through the company, Kiln, which is a specialist data visualization agency creating made-to-order maps and graphics for clients such as The Guardian, Google, BBC, World Wildlife Federation, and the World Health Organization. Co-founder Duncan Clark, is a journalist and writer by background, has always been interested in storytelling with data. Co-founder Robin Houston is a mathematician and developer, and the one with the cartography expertise. To take a look at Kiln’s past projects, click here. The first visualization project that they ever made together was a Carbon Map, that used animated diffusion cartograms to tell the story of responsibility for climate change. This side project led them to set up full-time as a data visualization company. Eventually, they got frustrated with making one-of projects and decided to focus on the bigger goal of creating a platform that would allow non-coders to create high-end graphics and stories without commissioning a specialist, which in turn led to the creation of Flourish. 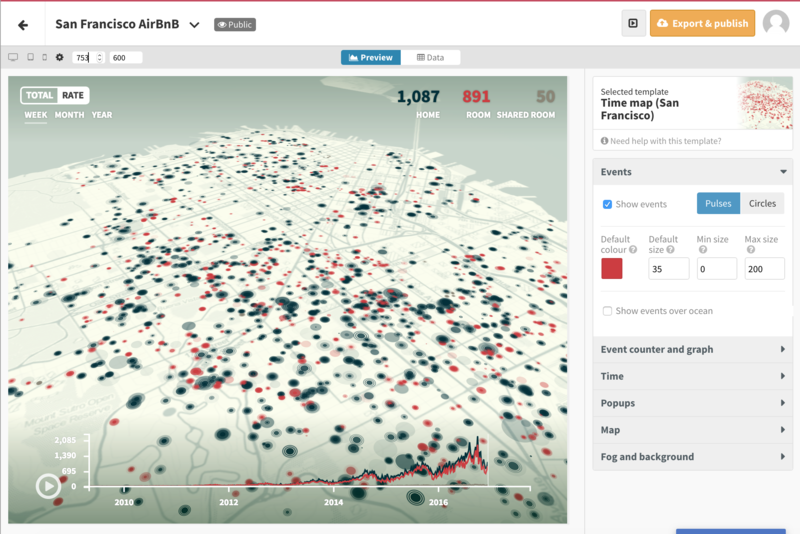 According to Clark, “News journalism is about conveying complex information efficiently and accurately, and when it comes to geographic information there is no better way to do that than with a map.” Flourish’s early users range from journalists, academics, and NGOs – to corporate and governmental agencies. Anyone who works with spreadsheets or data could find it useful. Often, tools available to organizations are hard to use, time-consuming, and expensive. 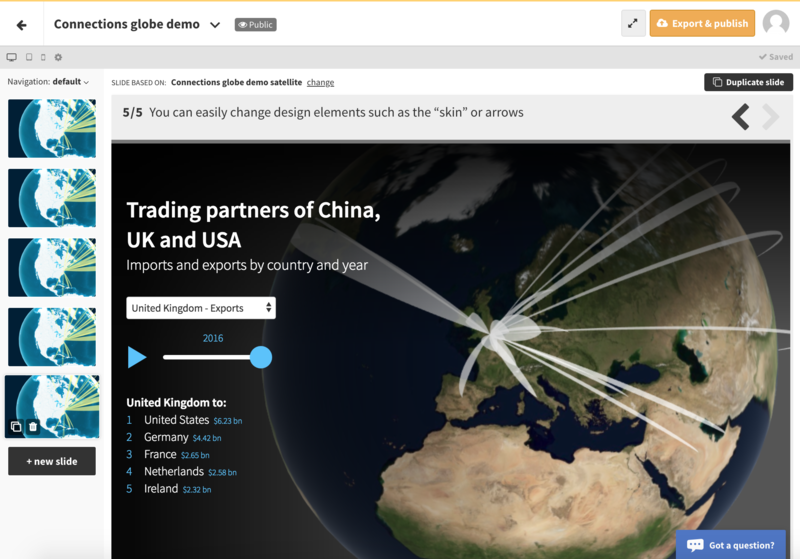 With Flourish, companies can make or commission templates, giving them unlimited flexibility and allowing them to tap into the talent of the world’s data visualization developer community. Developers can also make custom templates and upload them to be used by others. With a free public account, you can quickly turn your spreadsheets into stunning online charts, maps, and interactive stories – with no coding experience required. With a premium account, users receive features such as private templates, private projects, user management, and support. What makes Flourish different from other mapping and data management platforms is the unlimited power and flexibility it offers, as well as its focus on storytelling. What’s exciting is being able to animate between views to tell a story; sliding around a map spinning the globe, transitioning between different time periods in a chart and so on It’s perfectly possible to make an impactful data graphic or map without obsessing about the design; making visualizations that are beautiful to look at can create a larger and more engaged audience. To learn more about Flourish click here.